During Dr. D’s weekly journey to the FDA’s warning letter page the doctor has noticed that one of the more frequently cited compliance issues appears to be associated with the Device Master Record (DMR). Why does the agency feel that the DMR is so darned important? It’s the recipe people. The DMR contains references to all of the documentation needed to manufacture a finished medical device that is supposed to be safe and effective for its intended use. In fact, the Device History Record (DHR) contains documented evidence to support compliance with the DMR. Fail to comply with the requirement to provide documented evidence of compliance with the DMR, and the Chief Jailable Officer (CJO) can expect to be on the receiving end of a Form 483 Observation when our dear friends from the agency drop by for that friendly cup of coffee and an inspection. If there are issues noted during an FDA inspection, the outcome is never a “nuncupative” (look-it-up) declaration of the inspectional observations. The observations will be documented, in writing, using the Form 483. Enjoy! The warning letter noted in this week’s Devine Guidance (DG) captures seven Form 483 observations noted during an inspection performed in May of 2017. Although none of the observations are particularly alarming to Dr. D (typical of recent agency inspectional observations noted in a warning letter), when an establishment receives seven, closer attention to detail is usually warranted. Now please do not take the old doctor’s comments out of context, failing to comply with any part of the Quality System Regulation (QSR) is always going to be a problem. However, no device establishment is truly perfect, as to err is human, and Mr. Murphy is alive and well in the device industry. Please note, many warning letters can be prevented with a robust response, supported by documented evidence of correction, and sent to the agency in accordance with the agreed upon schedule. As mentioned earlier in this article, the DHR is nothing more than documented evidence that a device has been manufactured in accordance with the DMR. That being said, the DMR does not have to be an overly complex document or set of documents. The best practice is to script one cohesive DMR with clear pointers as to where all of the documentation is located. In fact, making the DMR electronic with hyperlinks to the referenced documentation is even better. For device establishments that control their own destiny by having their own manufacturing capabilities in-house, the task is less complex than relying on contract manufacturers for the documents. Dr. D understands that contract manufacturers like to hold onto their secret sauce and become quite protective when inquiring about obtaining copies of documents used to manufacture finished devices for their clients. That’s ok, as long as they are willing to provide access when you visit them, in the flesh, during an audit, or when our friends from the FDA magically appear for an inspection. However, you still need the document number and revision to ensure your DMR is current. The doctor strongly believes that establishments need to be reviewing and approving documents used by contract manufacturers in the manufacture of finished devices. After all, it is the device establishment (owner of the regulatory filings) that ultimately assumes responsibility for their devices, regardless of where their devices are manufactured. Any other documentation used in the manufacture of a finished device entered into commerce in the United States. For establishments working toward compliance with ISO 13485:2016, many of you have probably already noticed Clause 4.2.3, “Medical Device File” (MDF). One of the components needed to meet this requirement will be the DMR. Make sure your documentation captures the relationship between the DMR and the MDF. Because our industry loves to use acronyms, Dr. D will throw multiple acronyms your way in the next sentence. 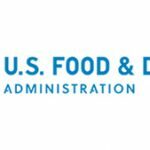 The FDA, in support of determining compliance with the QSR, will review DHRs to ensure finished devices have been manufactured in accordance with the DMR, as will your notified body to verify compliance with the MDF. All kidding aside, the DHR is documented evidence to support device manufacturing has occurred in accordance with the DMR. No sane CJO wants to sit across from an FDA investigator and attempt to defend: (a) incomplete DHRs; (b) DHRs that exhibit poor Good Documentation practices (GDP); and/or (c) missing DHRs. The end result is always going to be an investigational observation. Can you say Form 483? For this week’s guidance, the doctor will leave the readers with two takeaways. One – device establishments need to have a clear understanding of the link between the DHR and the DMR. The DMR is nothing more than the recipe (a.k.a. secret sauce) while the DHR is documented evidence of compliance. Both are important records that will be reviewed during most inspections. Two – since most device establishments are currently working on compliance with ISO 13485:2016, you might as well address the Medical Device File requirement now. In closing, thank you again for joining Dr. D; and the doctor hopes you found value (and some humor) in the guidance provided. Until the next installment of DG – cheers from Dr. D. and best wishes for continued professional success. Code of Federal Regulation. (2017, April). Title 21 Part 820: Quality system regulation.